1. 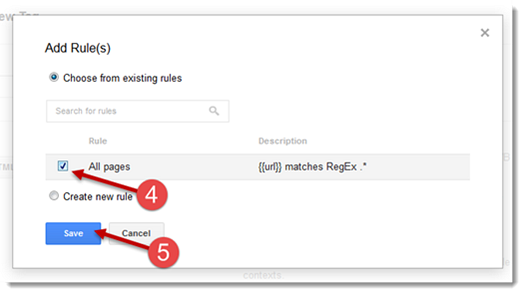 Check to see if the rule for the code in Google Tag Manager is set as: All pages. 2. If not, you will need to add the rule. Click on the Name of the Tag. 4. Check the box before All pages and select Save.